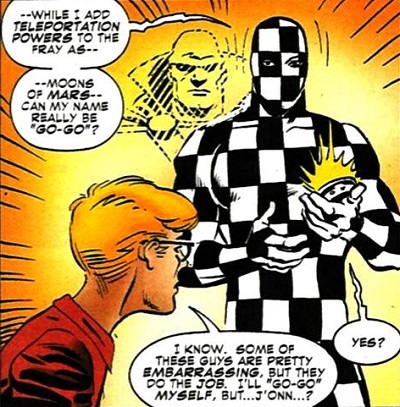 Since Green Lantern Hal Jordan had managed to restore the Justice League of America to their own bodies, the heroes now had to deal with the repercussions of Batman's plan to smear their name while villains possessed their forms. Worse, the crooks had disabled the entire Green Lantern Corps while employing the combined might of the Oan central power battery, the Absorbascon, and a prismatic jewel from Krypton. With this assortment, they knew everything that took place on Earth, including the secret identities of the super-heroes and the whereabouts of their loved ones. The heroes tried to gather their friends for safety, including Policewoman Diane Meade, at the hidden Gorilla City. On the streets of Moscow, the Russian Army tried to capture Martian Manhunter and the Flash to prevent their presumed plot to conquer the planet. Within the Kremlin, the country's leaders had been de-aged to childhood by a newly empowered Chronos. J'Onn J'Onzz and other heroes burst in to combat the fiends, but Mr. Element doused him in napalm. Gardener Grayle and the Metal Men sacrificed the last of their power to rescue the Alien Atlas, who in turn saved the Scarlet Speedster from a temporal trap. Yet, the heroes lost more than they gained, down seven comrades to temporarily drive out two foes. More heroes faltered, until only eight remained. An off-hand comment by Green Arrow made Martian Manhunter think of Robby Reed and his H-Dial, but he couldn't share his idea with his fellows. While J'Onn shielded his mind against the Absorbascon, the League went on a suicide mission to the lair of Lex Luthor in Metropolis. When they were on the verge of defeat, the Alien Atlas returned to attack the Injustice League. This was actually a distraction play, as Robby Reed quietly guided the fallen heroes' fingers to employ his H-Dial. Each JLAer became a temporary new hero unfamiliar to the villains, and between the element of surprise and teamwork, the day went to the good. 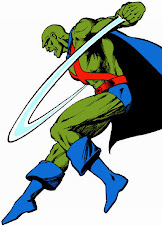 J'Onn became the teleporting Go-Go, very necessary when Agamemno suddenly returned, embodied in the artifacts. Although Thanagarian Hawkmen and a restored Green Lantern Corps played important roles, Go-Go ripping the Absorbascon and Kryptonian jewel out of Agamemno surely contributed mightily. The Corps used the Absorbascon to erase the heroes' secrets from the minds of their friends and foils. 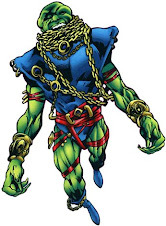 Agamemno was taken prisoner by the GLC, and Robby thanked J'Onn for letting him play in the leagues, at least once. However, it was hinted that Robby would get one more chance in an as yet untold story. "S.O.S. to Nowhere!" was by Mark Waid & Eduardo Barreto. Prior to the events in the main crossover, Agamemno was depicted conquering a world by pitting its populations against one another. This was just another in a series, but among his victims was one who challenged him with legends of a Justice League mighty enough to defeat Agamemno. This peaked his interest, and though the League's home world was not known in this place, they knew of a past encounter with Kanjar Ro. 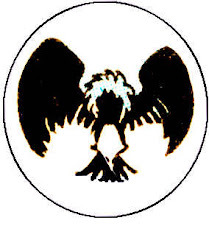 Him, Agamemno knew of, and captured his enemies Hyathis, Kromm, and Sayarr as a token of appreciation for directions to the League. After his multiple defeats at their hands, Kanjar Ro was only too happy to help, and warns of the need to be especially careful with the three most powerful heroes: J'Onn J'Onzz, Green Lantern, and Superman! Meanwhile, the Justice League of America were on another alien world, following up on a priority one alert that had been sent to them by Hal Jordan. The team split up to investigate, and J'Onn J'Onzz soon felt "something... familiar... a powerful psychic force." 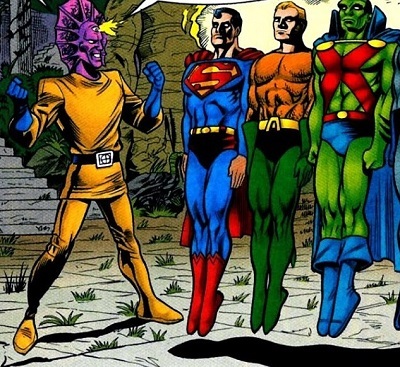 J'Onzz threw caution to the wind in pursuit of this force, and was swiftly captured alongside Superman, Aquaman, Batman and Green Lantern by Despero. "The ancient race that ruled this star cluster eons ago used this world to bury their countless dead. I think it will make a fitting tomb for all of you, as well. Don't worry, I'll be ensnaring the others shortly." 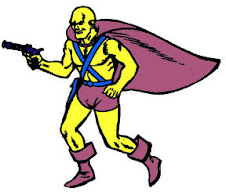 Green Arrow was still free as he gazed from what he thought was a safe perch, but he was detected by Despero, and prevented from firing on the Kalanorian by his hypnotic third eye. However, the Emerald Archer could fire a strobe arrow at his mesmerized teammates, freeing their minds so the rest could follow. 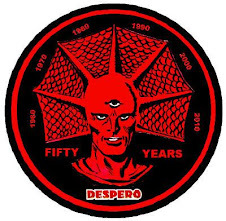 Martian Manhunter, eye ablaze, angrily affirmed "No Despero, not a second time. You caught me off guard before, but now I've prepared a mental screen to protect us all from your trance. I think it's time to surrender!" Despero tried to escape, but his illusion powers failed him against Superman's x-ray vision, while the Atom delivered a knockout punch. While gathering prospects for this year's (and almost certainly the next as well's) project, I stumbled upon the Journey Bunny booth. The artist had some lovely work available for a very reasonable price, plus she and her table mate were as friendly and welcoming as could be. I gave her a stack of reference for different projects I've been working on over the years, but ultimately her favorite subject was Cynthia "Cindy" Reynolds. Gypsy is of course late of the Detroit Justice League and Justice League Task Force, but more recently adapted to live action as a reoccurring character on CW's The Flash. Tauro only had time for a bust, so she opted to having Gypsy turning invisible around the edges. However, what remains is a lovely watercolor on sturdy paper, with mysterious eyes and windswept hair. Tauro had a beaming smile every time I saw her, and I have one as I look at this great piece. 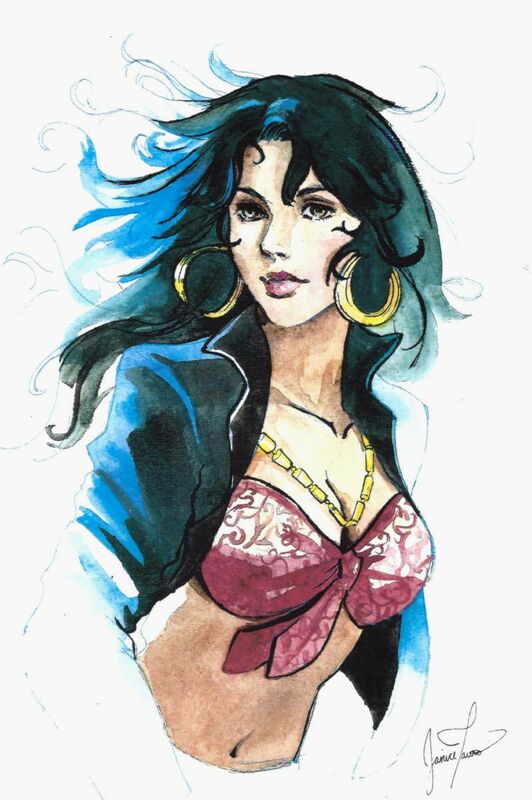 My only regret is that I didn't have her take part in a jam I was working on instead, with another favorite heroine, because I paid a "name" artist an exorbitant amount of money for something I liked fractionally as much as this. Maybe I can talk her into painting over it next year? 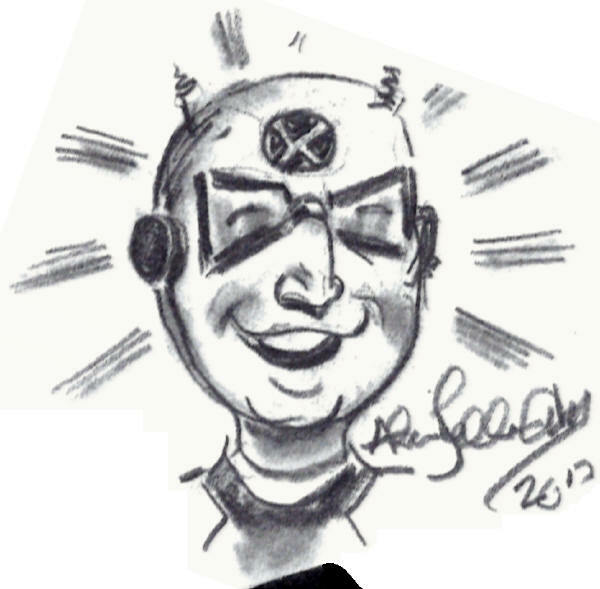 Allen 'Al' Bellman was a staff artist at Timely during The Golden Age of Comics. The majority of his work was on Captain America Comics and Marvel Mystery Comics, and he drew characters like The Patriot, Cap, Sub-Mariner, The Whizzer and Human Torch. He's probably best known for his "Let's Play Detective" strip. He'd appeared several times at Houston's Space City Cons, and I tried to angle for a commission. At the time, he was only working on characters he'd been associated with back in the day (the same answer Jim Steranko always gives me, not to mention Frank Brunner,) and I have always made a point of not doing that very thing. 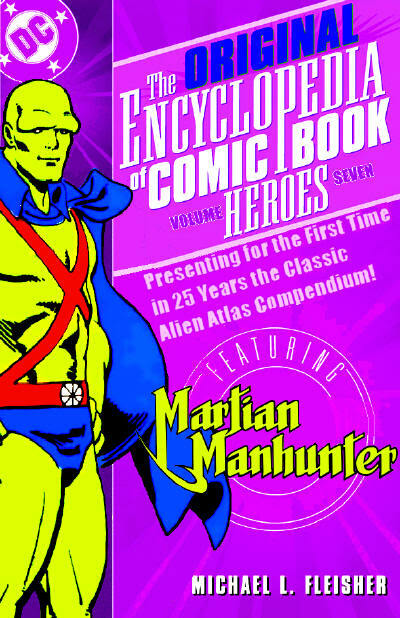 Well, that and I get all this Martian Manhunter stuff that nobody living ever drew before I hit them up. I was at the 2017 Charlotte Heroes Convention, and I was specializing in new and ongoing jam pieces at that show. I saw Bellman once again, as usual with his wife (decked out in a Captain America themed get-up.) They're adorable. Anyway, for whatever reason, Mr. Bellman was amenable to not only doing a "golden age" character from a company he'd refused to work for (DC,) but to do it as one of the finishing touches on a jam. I'd always wanted to see his take on Roh Kar, First Lawman of Mars, and he seemed genuinely honored and anxious about joining the artists who'd previously worked on the collaboration. I think he said something about being afraid of messing it up, but to me this was absolutely the capstone on two years of effort with a joyful, luminous take on the first Manhunter from Mars! It's the only part of the piece that is drawn solely in pencil, and I briefly considered having it inked, but it would be a travesty to alter Bellman's shading and linework. Personally, I think it's his best work, but I'm kinda biased! If you'd like your own commission, click here!